Renowned mixed martial arts commentator Jimmy Smith is done with the Ultimate Fighting Championship (UFC). For years, Jimmy Smith was known as the voice of Bellator. 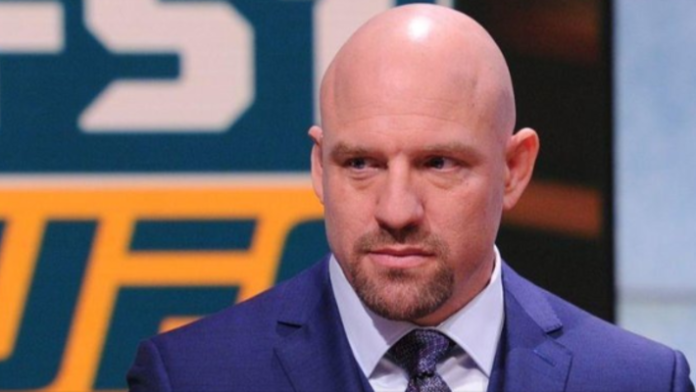 While that distinction is usually reserved for the play-by-play announcer, Smith was able to separate himself as a color commentator much like Joe Rogan has done for the UFC. Back in Jan. 2018, Smith signed with the UFC and many had high hopes for the deal. Just one year later, Smith is out. The UFC’s color commentators are mostly current or former fighters on their roster. You’ve got Daniel Cormier, Dominick Cruz, Paul Felder, and soon Michael Bisping. The desk analyst spots are also filled by current or former UFC fighters. Stick with MMA News for the latest updates on Smith’s commentating future. Do you think the UFC made a mistake not re-signing Jimmy Smith?